Like many people, you may have wondered how to quit drinking alcohol. If so, you’ve come to the right place, as here you will find the basic tools and information you need to do so – and all free of charge. Of course, the best way to quit drinking can vary from person to person. 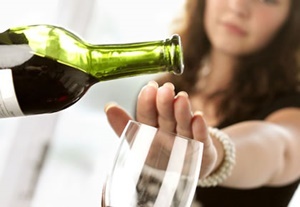 Fortunately, there are 4 basic keys that will help you overcome your alcohol problem. Each one of these 4 keys is equally important, and should not be skipped, or downplayed in any way. Now, let’s look at them in detail. I’ve written before about some of the reasons to quit drinking alcohol, and even added another 30 great reasons to stop. However, my reasons may not be yours, or that of anyone else. The reasons you come up with to stop drinking must be YOUR reasons, and yours alone. They must be personal. For example, your spouse wanting you to quit is not necessarily YOUR reason. What really matters to YOU? Why do YOU want to stop? After you have come up with a few damn good reasons to quit drinking, take a few moments to “flesh them out”, and add some detail (and emotion) that explains each one. When you’re finished, take a few moments to commit those reasons to paper, and put that sheet of paper in an obvious spot where you can see it every day. One last point: it is much better to have 2 or 3 very strong reasons that you’re passionate about, than to list 50 reasons that don’t really hit home. Inside of your “reasons to quit” you will discover your motivation. In a previous article, I touched on the importance of Finding the Motivation to Quit Drinking – and also wrote a brief post on 2 Ways to Jump Start Your Decision to Quit. Perhaps one of the reasons you want to learn how to quit drinking alcohol is so that your son or daughter will have a parent they can be proud of. If so, write a couple of paragraphs about how important this is. Be as descriptive as possible, and try to feel how wonderful it will be to accomplish this. Repeat this process with each one of your “reasons”, so that your true motivation will come forth. Once your motivation is obvious, you will feel inspired to follow through.